Duisburg/Johannesburg, 11. June 2018 – The Swiss premium chocolate manufacturer, Lindt & Sprüngli, will continue to entrust the complete supply chain for its products in the South African market to the logistics specialist, Imperial Logistics. Both sides recently signed the agreement to put this into effect. The services package includes handling inbound and outbound reefer containers, warehousing operations, transporting outgoing goods as well as distribution and reverse logistics. Imperial Logistics also handles the co-packing operations, i.e. unpacking the goods, repacking them in sales packages, labelling, kitting and presentation displays. 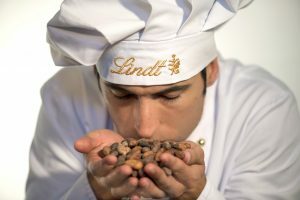 “We’re proud that we’ve been able to contribute to Lindt & Sprüngli’s success in the South African market since the chocolate manufacturer launched operations here,” Cobus Rossouw, Chief Strategic Officer at Imperial Logistics, explains. The complete supply chain from purchasing the raw materials from the suppliers to selling the highly sensitive final products to customers is subject to temperature-controlled conditions without any exceptions. Imperial Logistics has put into service special refrigerated vehicles to transport the temperature-sensitive ingredients and final products. The company has been able to significantly reduce the transport costs by making use of double-rack trailers, which were specially purchased for its fleet to handle the Lindt & Sprüngli products.